Every day is a new day for us and daily we can learn something from others. A new thing always makes us thrill and excited too. I never feel shy to ask people. Whatever new thing I see every day, without hesitation I ask the person about that. Few days before we went for a dinner party in one of my Telugu friends place and almost most of the items were cooked by her mother in-law who came from Hyderabad few days before. The foods were really too good. And among all of them I like the Sweet dish most. 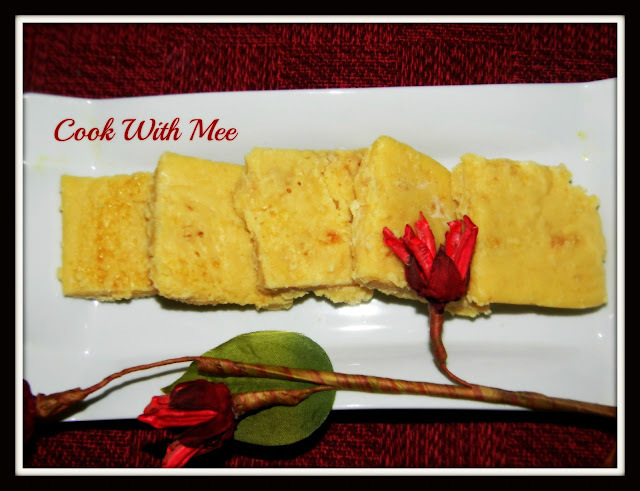 She prepared a nice MYSORE PAK sweet. How can I stop myself to ask her about the recipe? She is really too good ,yesterday she came at my home and not only she described me the recipe so well she only made the sweet for me. 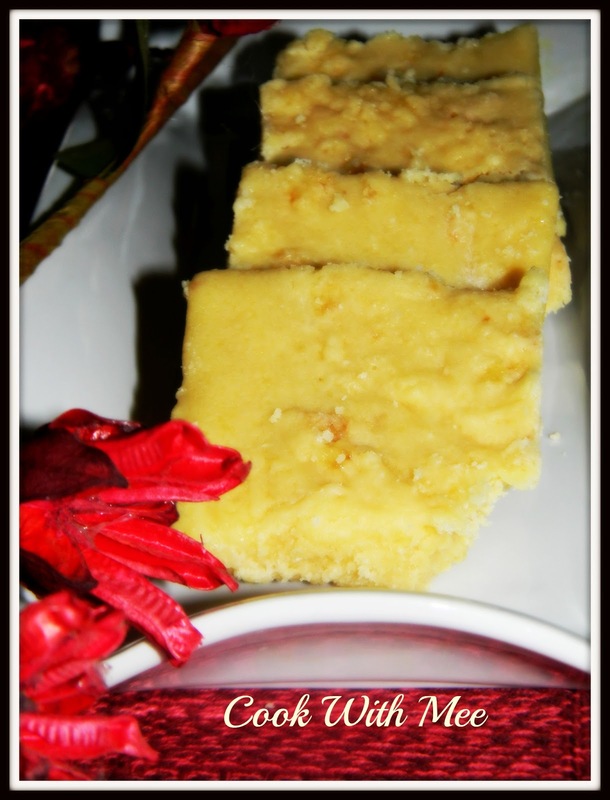 Thank you aunty for sharing the recipe with me. This sweet belongs to Mysore Karnataka. People used to say that the sweet was first made in the Palace of Mysore that’s why the name of the sweet dish is Mysore Pak. 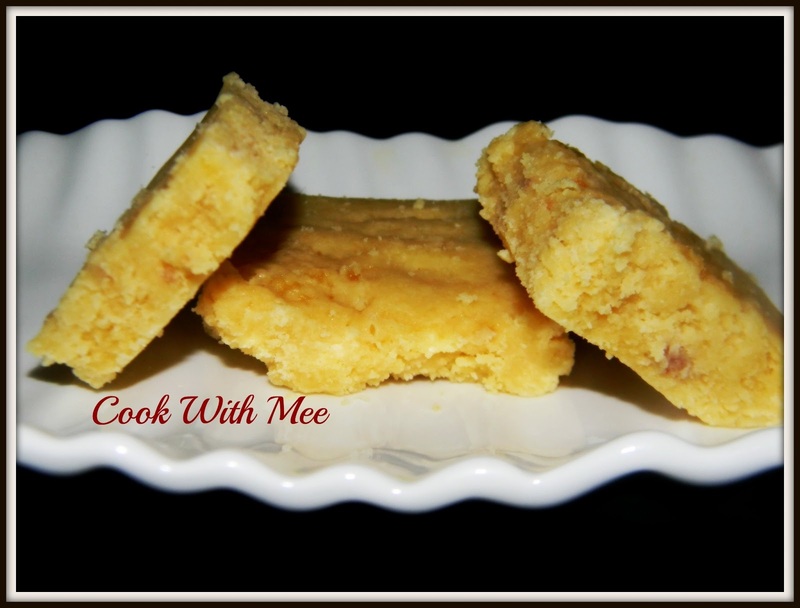 This sweet is made with lots of Ghee (clarified butter) Besan or Gram Flour and sugar. While making the sweet you have to take care of the measurement. 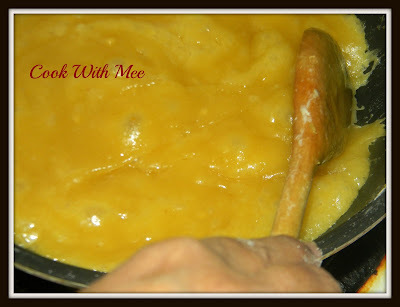 We really enjoyed the sweet and the smell of the Ghee. 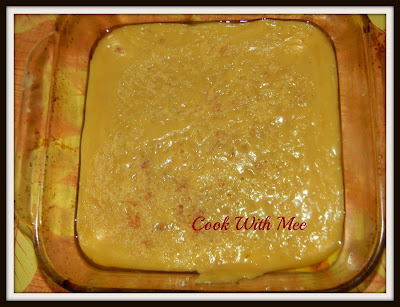 1.One cup Besan or Gram Flour. 2.One cup Ghee or Clarified Butter. Make thick sugar syrup with two cup of sugar and one cup of water. The syrup should be that thick like liquid gum. Now add the ghee in a heavy bottomed vessel and after it melt properly add the gram flour into the vessel and stir continuously. When the besan mix nicely with the ghee and a nice color come out add the sugar syrup and the cardamom powder into the vessel and mix well. When you able to see some bubbles are there into the mixture and the texture become sticky switch off the gas. 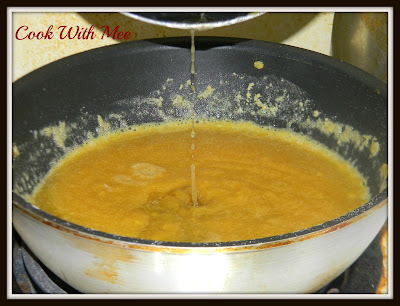 Now take one plate or vessel and grease with some ghee and then put all the mixture into that. Keep it in fridge for 5 mints. Now cut into small pieces. Your Mysore Pack is ready serve as dessert.